Let’s work together to improve your home and office security. Let our Locksmith in White Rock take care of car key problems and rekey the apartment lock. With fully equipped vans and lots of experience in the field of locks, key platforms, conventional but also high tech security systems available on the market of British Columbia, our team can take care of your needs and help you in a timely manner. There is nothing more urgent than security and safety problems. With our help, your property is well-protected and sudden issues are handled right away and 24/7. Let us tell you more about us. We are a local locksmith and assist people in White Rock, British Columbia. Our team is made up of licensed and qualified professionals with great experience in locks of any type and brand, and the skills to fix, rekey, install and change them. Our staff is honest, our prices are affordable, and our trucks are equipped with state of the art machines. We can help. Want to replace the damaged car key? Did you lose it? With our sophisticated equipment at White Rock Locksmith, we can replace any transponder key by most car makes. One of our technicians will help you as soon as possible and also program the new key. Seeking professionals to help you find new locks and install them? Depend on our expert installation skills and our full assistance. Updated with the most recent locking systems, our technicians in our Locksmith in White Rock BC can recommend and install mechanical and electronic locks, including window, door, sliding door, furniture and emergency exit locks. We surely repair, rekey and change locks and actually offer emergency locksmith service. Can’t turn the key or lock the door? Experienced a burglary? One of our professionals will check the damage and tell you whether the lock can be fixed or must change. In either case, we help right away. Our services include key repairs such as making duplicates, extracting the broken and stuck ones from the lock, reprogramming vehicle keys, and cutting new office and home keys. 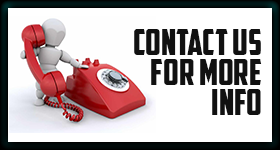 Call our company for casual needs and 24 hour locksmith assistance. Our technicians can help you any time. One phone call and we’ll be there!